As architects seek more variety and sustainable building materials, metal wall panels made from recycled aluminum offer a solution. When it comes to green—and versatile—options, ALPOLIC®, the world’s leading manufacturer of aluminum and metal composite materials manufactured from up to 50% recycled materials, is leading the way. Produced by Mitsubishi Chemical Composites America, ALPOLIC® Materials is helping engineers and architects create better, more beautiful buildings. 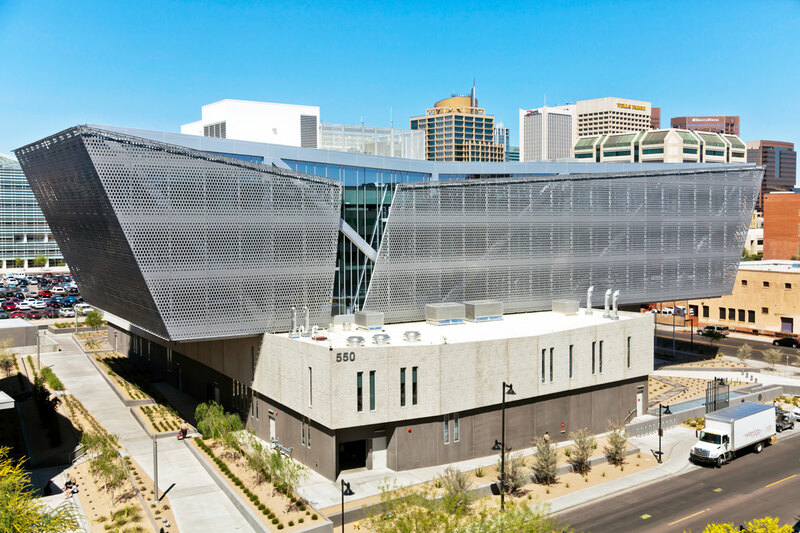 Jim Moses, technical services manager at ALPOLIC®, points to the Maricopa County Sherriff’s Office Headquarters in Phoenix, which used a majority of metal composite material with a natural zinc finish, as one key example where an architect had a grand idea and was able to realize it using the product.